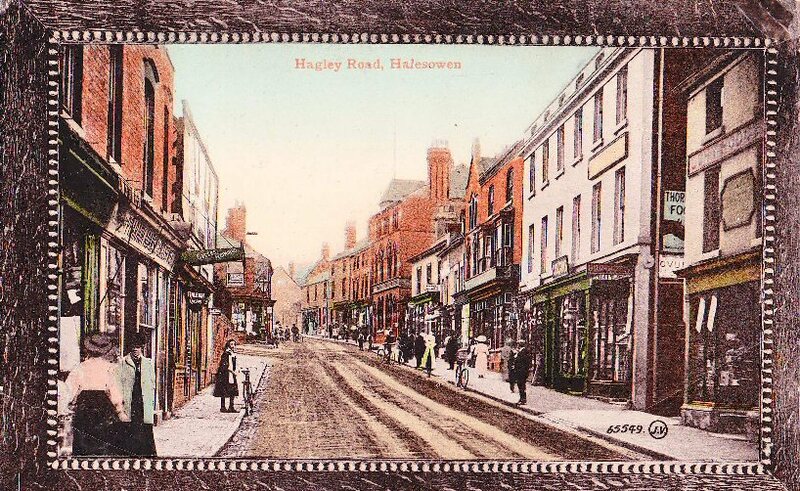 Don Cox, from Auburn, California, sent me the photograph of Craddock's Boot and Shoe Shop which was formerly in High Street Halesowen. His great grandmother, Honor Hackett Cox was related to the Craddock's and she emigrated to the USA in 1867. 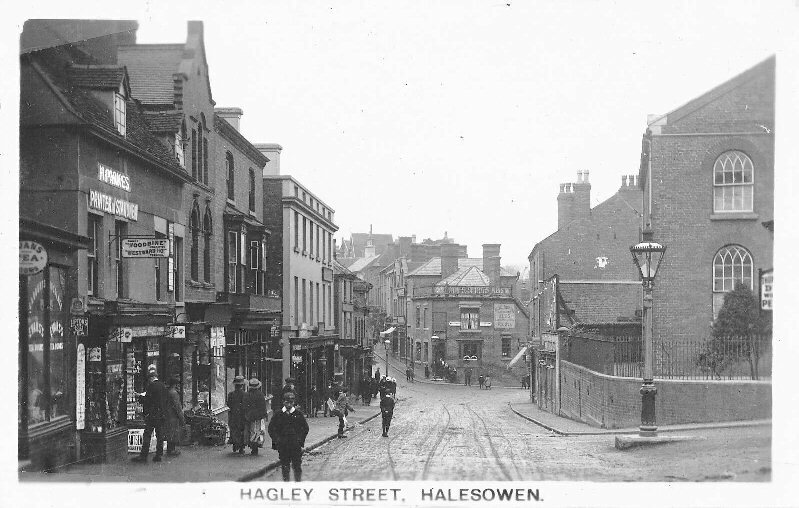 Honor corresponded regularly with her nieces and nephews back in Halesowen who sent her postcards of Halesowen in envelopes with very little writing on.. One of her nieces was Fanny Hackett Parish, her sister Elizabeth's daughter, who lived at 29 Highfield Lane and was married to Bertrum Parish. English meat and a cycle shop advertising Raleigh Bikes.